Invisible Clock was commissioned by the city of Manhattan Beach, just outside of Los Angeles. Three pairs of existing park benches had become deteriorated in Parque Culican. 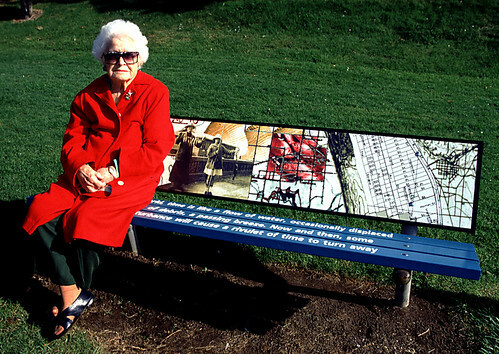 Invisible Clock revamped these benches with new backs, new seats and a series of artworks. Each pair of benches presented a meditation on the nature of time, using text from Alan Lightman‘s Einstein’s Dreams and dreamy, collaged imagery. Invisible Clock garnered attention from the press, including The Los Angeles Times.